BEHEMOTH will hit the road in April 2015 for 15 shows in Germany, Austria, Italy, Switzerland, Greece, Macedonia, Bulgaria, Romania, Hungary and in Czech Republic. Commented BEHEMOTH singer/guitarist Adam "Nergal" Darski: "We are already eagerly awaiting our second coming to European shores in spring 2015! We are teaming up for this run with some of the most exciting extreme metal acts — Swiss BÖLZER and Polish THAW — a must-see jewels that you can not miss out! A two-week trek will cover territories we haven't explored with the first leg of the tour. Expect the best! We've never been in a better shape and we're gonna prove that once again!" BEHEMOTH released a limited-edition, hand-numbered 12-inch EP called "Xiadz" in November. The EP was made avaialble in three vinyl colors. "Xiadz" is strictly limited to 500 vinyl copies worldwide and was not made available on CD. Black vinyl, black-gold splatter, and gold vinyl gatefold, 180-gram editions containing the previously unreleased tracks "Xiadz" and "Towards The Dying Sun We March", as well as a re-recorded version of "Moonspell Rites" were made available to order at this location. 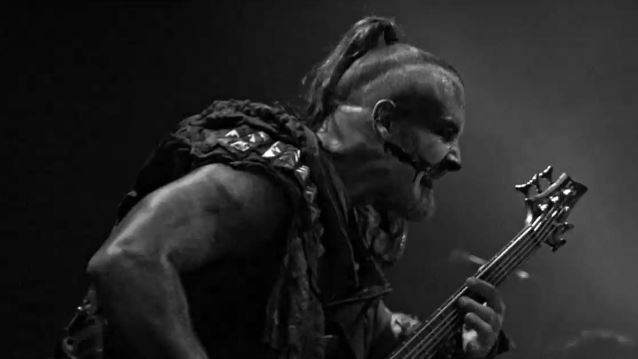 BEHEMOTH's latest album, "The Satanist", sold around 10,000 copies in the United States in its first week of release to debut at position No. 34 on The Billboard 200 chart. The band's ninth full-length studio CD, 2009's "Evangelion", opened with around 8,500 units to land at No. 56.